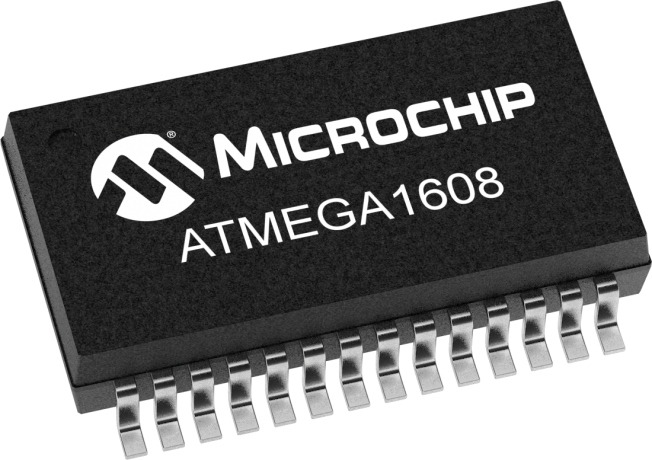 The ATmega1608 is a microcontroller featuring the 8-bit AVR® processor with hardware multiplier - running at up to 20MHz and with up to 16 KB Flash, 2 KB SRAM and 256 bytes of EEPROM in 28- and 32-pin packages. The series uses the latest Core Independent Peripherals with low power features. Including Event System, intelligent analog and advanced peripherals.